What books bring back memories? Nearly every book I’ve read brings evokes a memory of some sort, takes me back to a certain time period in my life if not the exact moments of reading. Especially the books that have stayed with me over the years, that I’ve read again and again. 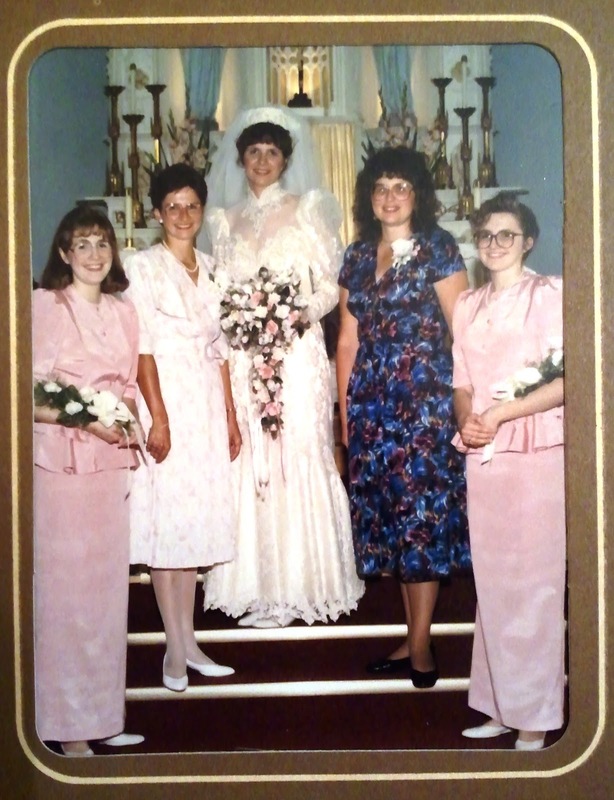 Another memory of GWTW is from the summer my sister got married. 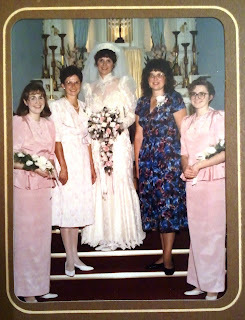 I was sixteen, a sullen bridesmaid in pink taffeta with a peplum. The love of my (then) life had dumped me months before, and that summer I was on a (failed) mission to get him back. I was broken and bitter. The oppressive heat and humidity of August and the boxelder bug infestation only made it worse. I got through it, though, thanks in part to GWTW. I brought it with me to every pre-wedding event (and there were many) and escaped into my brooding corners. Scarlett O’Hara had it worse, but not by much. The Eyes of the Amaryllis by Natalie Babbitt: Another summer memory. I don’t remember how old I was, but still in elementary school certainly. To escape the heat (no central air conditioning in those days! ), I brought my library books to our chilly, dim basement and read like crazy. 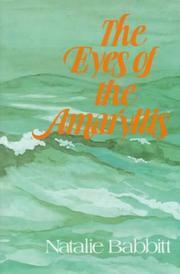 The Eyes of the Amaryllis was one of the first terribly sad and haunting books I remember reading. I read it in one afternoon, not moving from the old, tattered basement couch. From Goodreads: When the brig Amaryllis was swallowed in a hurricane, the captain and all the crew were swallowed, too. For thirty years the captain's widow, Geneva Reade, has waited, certain that her husband will send her a message from the bottom of the sea. But someone else is waiting, too, and watching her, a man called Seward. Into this haunted situation comes Jenny, the widow's granddaughter. 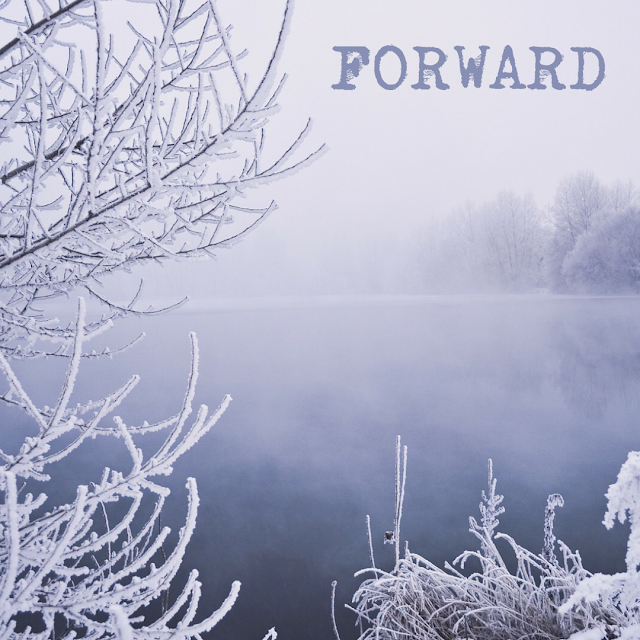 The three of them, Gran, Jenny, and Seward, are drawn into a kind of deadly game with one another and with the sea, a game that only the sea knows how to win. So many others: The Anne of Green Gables and Emily of New Moon books (also read during the summer months). Faking an ankle injury during a winter birthday party to get out of sledding and go back in the house to finish The Wheel on the School. Sneaking books into work the summer before senior year when I was a one-woman crew cleaning the elementary school – specifically reading Fahrenheit 451 in the 5th grade colony, the exterior doors thrown open during a thunderstorm, and Killing Time in St. Cloud, tucked back in the Kindergarten rooms. 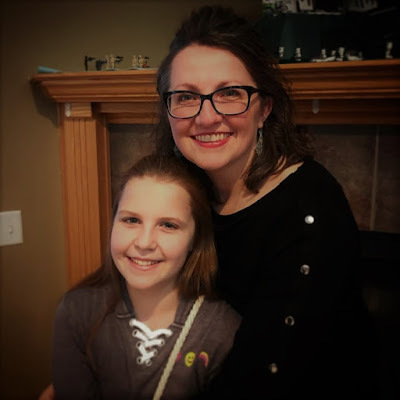 More recently: the hours spent with my son while we read the Harry Potter books together, especially the nights last summer when we sat outside at the fire with The Order of the Phoenix and I read aloud under the stars. Reading Charlotte’s Web to my daughter and remembering the first time I fell in love with it as a child. As with certain songs, certain books transport me to another place and time: anchors of memories, preventing moments from floating away. What books are your anchors? I love your story about the first time you read GWTW. Do you think your parents left it out there on the table on purpose for you to read? I would have done the same thing! Hmm, I don't know. Maybe I should ask my mom!